It’s been weeks. A month, even. And I have been cooking and eating and crossing things off lists. And yet….nothing for you. Not even the proverbial crust of bread. So…I have a short and, hopefully, entertaining list of some of the things I’ve been up to. Accompanied by some illustrative photos. 1. If you eat smoked cheese and drink lite beer, both taste vaguely like root beer. Credit goes to one of last weekend’s house guests for noticing this phenomenon. Also, I love that at my home you will be served a cheap domestic beer and fancy smoked Gruyere at the same time. Excellent. 2. 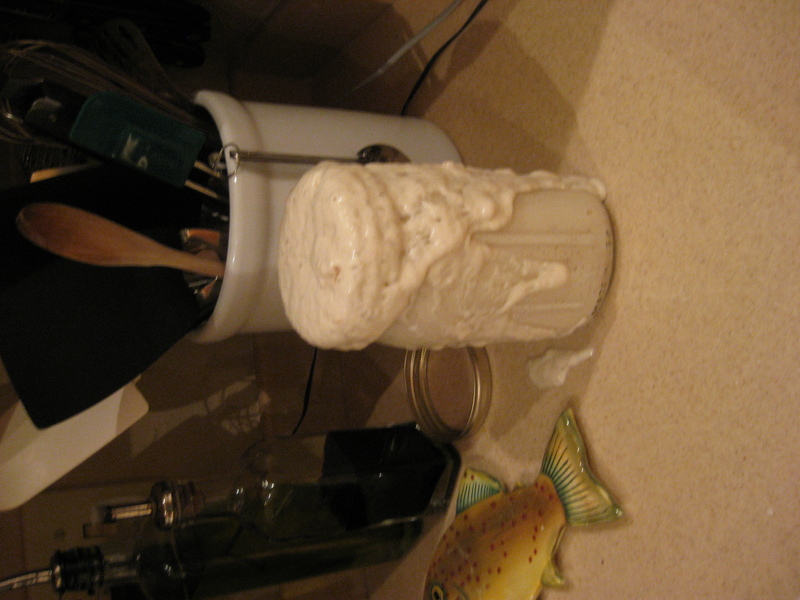 When making a sour dough starter, do not seal the lid. It will explode and terrify your household. 3. It is possible to eat an entire souffle in a single sitting. After a year in the freezer...delicious! seriously…where did that chicken go!?! Does this happen in your house? 5. 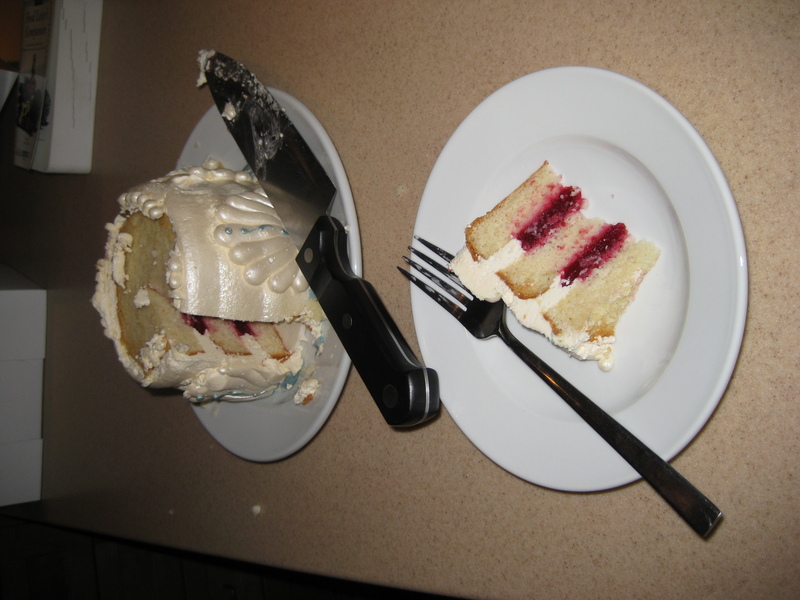 Wedding cake can be delicious after a full year in the freezer. (Love you, Husband!) Also, aforementioned wedding cake is delicious with coffee. For breakfast. 6. To make a simple and fancy looking summer drink: freeze raspberries in an ice cube tray. Mix these fancy ice cubes with a few regular cubes, add vodka, and lemonade. As the ice melts you get a lovely raspberry hint in the lemonade. Ahhh…summer in a glass! So there you go. A little spread complete with souffle, cake, explosions, and beer to get you ready for the main course. Up next: a blow by blow account of Chicago style pizza recreated outside of its urban home. How will it adapt to its rural surroundings?! Will it panic at the sight of my small town oven? Check back to find out. ** I woke up this morning with “Land Down Under” in my head. No idea where that came from…but its easy to sing in the shower.